Andrew Bogut’s career success was never certain and in many respects unlikely. Not because he lacked the skill to be a basketball great; it’s just rare to see a player excel when he comes from a country that hasn’t historically excelled at it. But excel he did. 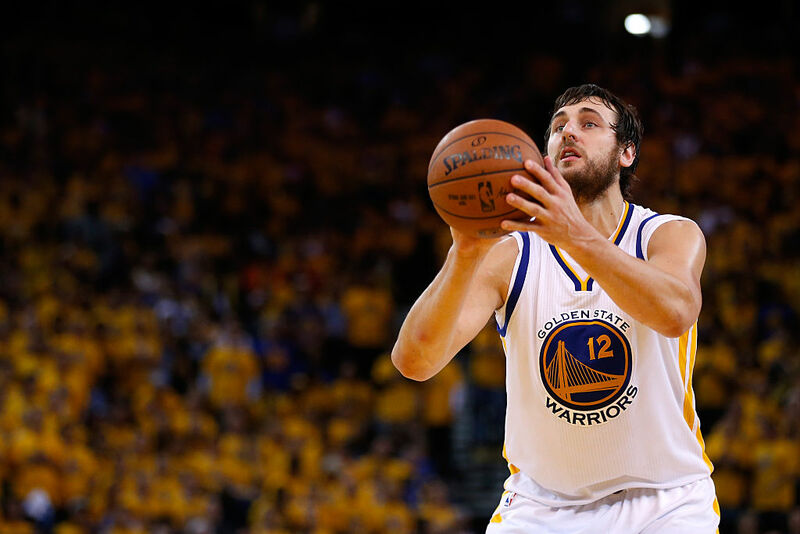 Bogut was the first Australian basketballer to be drafted as the NBA no.1 pick back in 2005, quickly being scooped up by the Milwaukee Bucks. Later traded to the Golden State Warriors, Bogut went on to enjoy great success as a centre and was part of the Championship-winning squad of 2015. A three-time Olympian to boot, he eventually played 13 seasons in the NBA before he signed a two-year deal with the Sydney Kings in the NBL here in 2018. Aged 33 at the time, a return to Australian soil appeared to some to be the path towards well-earned retirement and the mandatory TV punditry position. Yet he proved time and time again that he still has plenty in the tank. Bogut was named NBL Most Valuable Player after averaging 11.6 points per game to go with 329 rebounds, 98 assists and 77 blocked shots. He was also named the Best Defensive Player and earned All-NBL First Team honours. Now 35, Bogut has been propelled back into the limelight care of a short-term contract with his former club Golden State and received two standing ovations from fans as he made a fairytale return to Oracle Arena last week. Here, we take a look back at our interview with Bogut from our Summer issue to get an insight into how the towering star deals with performance under pressure. RR: You played tennis and AFL, as well as basketball, when you were younger. Was it your height (at 2.13 metres) that eventually tipped the scales in basketball’s favour? Bogut: I was a tall kid in primary school, but it wasn’t solely the reason. I was into all ball sports – whether it was basketball, footy, soccer, whatever. In the ’90s, the NBA was really big, so I just fell in love with the game. Thankfully I ended up being really tall, but there were some distressing moments in my childhood where I wasn’t the tallest guy and I stopped growing for a bit. Fortunately I had a massive growth spurt when I was 15 years old. As an NBA fan, what was your favourite team growing up? I didn’t really follow just one team, I followed most of the Australians in the NBA, like Luc Longley. I was a massive supporter of the Chicago Bulls throughout those days. You joined the Australian Institute of Sport (AIS) in 2002 – how was that experience as a training ground, compared to what you later experienced in the States? The AIS is great, it is world-class. They groomed me in the game as well as how to look after your body and take care of yourself, so it was great to have that opportunity. At night when you were lying in your bedroom and just wanted to get out and access a basketball court, I had the ability to do that. You had a run of serious injuries over the past eight years. As an elite athlete, how do you take career blows like that and find the strength and inspiration to bounce back? Sometimes it’s not easy – people will see you as an injured athlete. My mentality is that you can’t change what happened, you have to look forward. It’s a bit clichéd but my mentality for my injuries is to say, okay, if the doctor is saying I can’t play for six months, I’m going to try to be back before six months. Athletes are competitive people, so you just set yourself a goal. It gets tough when you see everyone out there competing, and you can feel defeated that you’re not doing it, but you have to close that down and kick your goals. My advice to young people is if you experience something negative, find the positive and take something from it; if you only look back and feel sorry for yourself about what has happened, you’re not going to move forward. What is your most cherished memory from your time in the States? My first son was born there, so that is obviously pretty high up there on a personal level; it will always have a special place in my heart. Basketball-wise, it is probably when I won the [NBA] Championship with the Golden State Warriors in 2015, against the Cleveland Cavaliers. Australia has quite a competitive sporting landscape. What is your view on basketball’s prospects as a leading sport in this country over the next five years? For the local league, it has been a pretty rough decade – the league has gone through almost being bankrupt, there have been teams going under and a bit of turmoil. Obviously, new owners have got involved and brought stability, which is very important. At the junior level, basketball is top three in Australia as far as participation rates go, but it’s a matter of translating that into the NBL. We have worked up to double digits of Australian NBA players, which is going to help our game. It’s hard to compete with rugby league and Australian Rules football, but we will get there – we just have to make sure now that we do have that following and the fans come to our games. to go to the best restaurants, being able to travel, see parts of the world that are hard to get to and stay in luxury hotels – it is more about experiences, rather than objects. There’s no greater joy than going with the family to a restaurant and trying some delicacy that is hard to find – whether it is a piece of steak, a wine or coffee. I love trying new foods; I’m not worried about the price, so even if it is expensive I will give it a crack, and I enjoy the luxury of being able to do that.